(NewsUSA) - How do American workers really feel about researching their health care benefits options? Not surprisingly, the sentiment of wanting to do almost anything but take time to review benefits options seems to be a timeless classic. 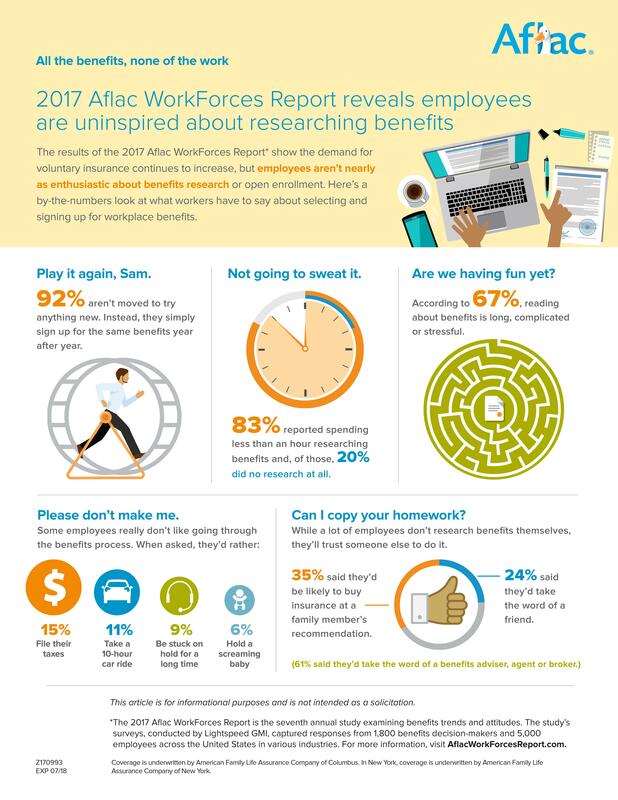 The Aflac WorkForces Report found that people simply are not motivated to commit time or energy to completing their annual benefits enrollment. In fact, most would rather avoid what they consider an unpleasant experience, and some would rather do just about anything else. And, when it comes to selecting insurance, many Americans are on autopilot and reliant on the advice of others.